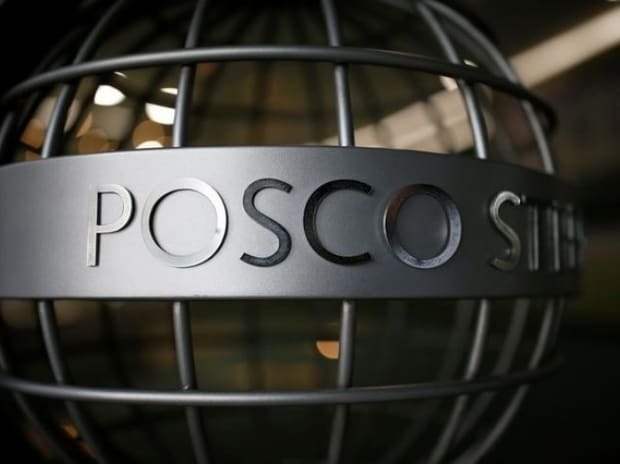 Posco-India has requested the Odisha government to take back its 2,700 acres of land provided to it near Paradip for setting up a 12 mtpa steel plant at an investment of Rs 52,000 crore. "We have received a letter from Posco-India in this regard. The steel major has offered to return the land near Paradip in its possession," state Industries Minister Debi Prasad Mishra told PTI. When asked whether Posco-India offered to return the land on its won, Mishra said: "No, the state government had requested the company to pay pending dues of about Rs 82 crore towards forest land diversion, cess and others. While replying to our letter, they (Posco-India) said that the company is not interested to take possession of the acquired land and will pay the remaining amount". Mishra said that the state industries department had acquired 2,700 acres of land for Posco-India's proposed steel mill. Of the 2,700 acres of land, 1,700 acres were handed over to the company while the remaining land was in the possession of the state government. "In the letter, Posco has cited its failure to start work on the proposed 12-mtpa steel plant project near Paradip to be the reason for the request made to the Odisha government to take back the acquired land," the minister said. The minister said the matter was placed before Chief Minister Naveen Patnaik, who had approved a proposal of the industries department to get back the land from Posco-India and retain the land in the Land Bank. Earlier, Steel and Mines Minister Prafulla Kumar Mallick had said that Posco-India had not in clear terms conveyed that it would not set up steel plant in Odisha. "However, we came to know from the media that the south Korean steel major had decided to keep the Odisha project on hold," Mallick said. Without informing about its plan, Posco-India had also earlier told the National Green Tribunal (NGT) that its proposal for setting up the mega steel plant project in Paradip could not proceed due to legal hurdles. As the steel major had not made any formal communication with the state government about its plan, the present letter is considered as the first such move for scrapping of the project. Earlier, another FDI investment worth Rs 40,000 crore by ArcelorMittal was withdrawn from Odisha in 2013. Posco-India had signed an agreement with the state government in June 21, 2005 for setting up its mega steel facility near Paradip. The company then sought 4,004 acres of land for the project. However, later the company changed its plan and wanted only 2,700 acres for setting up a 8 mtpa plant in the first phase in wake of the stiff opposition to the land acquisition. The state government in the first phase had transferred 1,700 acres of land to Posco-India. However, the uncertainty over the Posco-India's project started when the Centre amended the Mines and Minerals Development and Regulation Act in January, 2015. The amended Act made it mandatory for all companies, including Posco-India, to go through the auction route in order to get captive mines. The steel major had also not taken any step to renew its MoU with the state government, which expired in 2010 after a gap of five years.